Hosted by the National Association of Realtors, this website is a convenient and useful alternative to our local MLS site since all area residential listings feed here. Some brokerages don’t pay for enhanced listing on this site, meaning there may not be as many photos, etc. But the listing are there, searches are easy, and this site is a great resource for both home buyers and sellers looking for information on all things real estate. Check out the “Find a REALTOR” tab for tips on how to choose an agent. Happy searching! Microsoft vs. Apple. Beatles or The Stones? 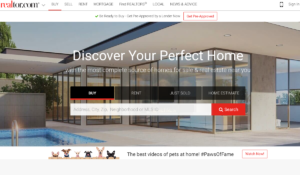 The battle for market share among dozens of national real estate database advertising companies has been as epic as those waged in other areas of human endeavor. The winners? Trulia and Zillow. 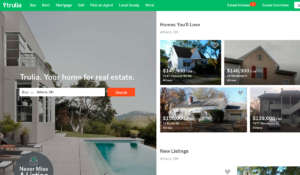 Trulia wins our nod for the best national site out there. It’s incredibly user friendly, has awesome mapping features, and boasts the best apps for smartphones and tablets. Searching for real estate while your driving around in your car has never been more fun. Best yet, it’s free! Though Trulia is our favorite, Zillow has got plenty to recommend, with easy navigation, save-able searches, and an active on-line community of folks asking questions and getting answers. 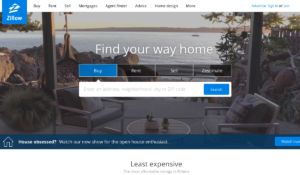 Somewhat controversial is Zillow’s proprietary “Zestimate” tool, which theoretically allows users to determine market value on real estate in any area of the country. We think the values are often grossly misleading–sometimes way too high, sometimes way too low. Best bet to figure out how much your house is really worth? Contact an agent and schedule a free, on-site visit to your home for an in-person, customized market analysis. 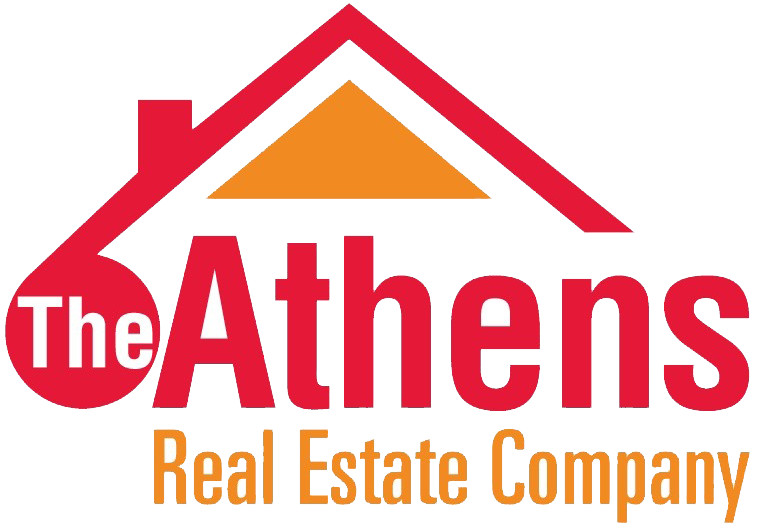 When you are ready to get serious about real estate research, the Athens County Auditor’s website is the most useful place to find (mostly) up-to-date data and detailed information about our local real estate market. Basically, it’s all here: recent sales histories, assessed values (different from appraised values), square footage and footprints, numbers of BRs and baths, aerial photos and more. Some features on our Athens County Auditor’s website are tucked away, so if you can’t find everything you need, call our office and one of our agents or staff can help you out. Here’s the website with everything AND the kitchen sink. 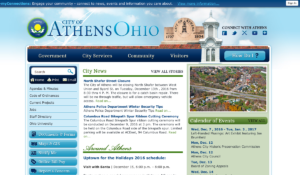 The Athens City government’s site offers a wealth of information about all things municipal, with plenty of emphasis on real estate-related matters. Of particular use are the zoning maps and the complete set of city Ordinances that govern everything from building and construction, to zoning, rental permits, appeals process and more. If you’re a developer with a good idea, or just a land owner who wants to split a lot, you’ll want to find an agent who loves to eat Titles 21, 23, 27, 29, 31 for breakfast, and then Titles 33, 37, 39, and 41 for a late-night snack! 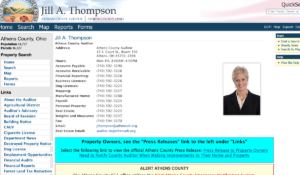 Perhaps not as easy to navigate (or comprehend) as the Athens County Auditor’s website, our area Recorder’s website nonetheless offers a slew of indispensable documents related to real estate transactions, including facsimile copies of deeds, mortgages, easements, restrictions, releases and more. Learning to navigate this site, and to figure out what you’ve found once you’ve found it, is a job often best left to real estate practitioners and attorneys. Still, if you’re ready to get your hands dirty, this site’s the bomb! Our company is five years young. And in that time, we’ve tooted our own horn about how great we think we are at real estate. 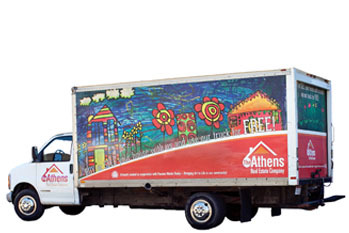 But when it comes to the myriad ways that our company and our 18 licensed agents contribute to our local community, we’ve been wallflowers. And so this is the year that we’ve decided to pull our flowers off the wall and start howling at the moon about all the great stuff we do! Our staff and agents help and support dozens of worthwhile causes and organizations, through volunteer work, fundraising, and straight-out giving. 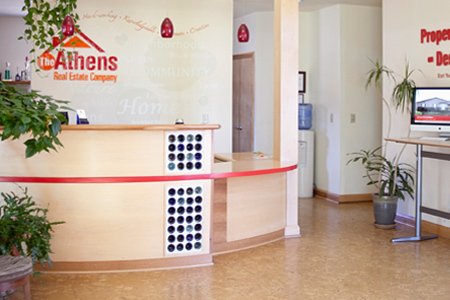 So “like” us on Facebook and join us in celebrating Athens as the coolest place on Planet Earth. We love you!